Reports of reluctance by some villagers to cooperate with health authorities in their efforts to prevent the spread of the deadly Ebola virus in West Africa should come as no surprise given the dark rumors constantly swirling around modern eugenics. The reports reminded us of conspiracy theories which suggest certain viruses – like SARS, Ebola and Swine Flu – were created by pharmaceutical technicians in labs. The intention being to spread deadly diseases to combat the population explosion in certain Third World countries. Health workers combatting Ebola virus in Liberia. Some conspiracy theorists even claim HIV/AIDS is a man-made disease rather than a freak of nature. These theories suggest HIV was originally either a biological warfare virus that escaped from a laboratory by accident, or was released on purpose, as a tool for population control and eugenics implementation. The culprits are said to be shadowy, elitist organizations with New World Order ambitions. Extreme accusations indeed, but perhaps not without some form of precedence. 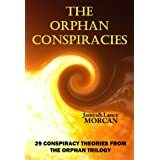 We explore the history of modern eugenics in our book THE ORPHAN CONSPIRACIES: 29 Conspiracy Theories from The Orphan Trilogy. From 1932 until 1972, the US Public Health Service deceptively conducted a clinical study known as the Tuskegee syphilis experiment. The notorious study was designed to monitor the progression of syphilis in African-American men who were led to believe they were receiving free treatment from the Government for the sexually transmitted disease. The infamous 40-year experiment involved medical professionals surreptitiously refusing treatment to black patients infected with syphilis. Flashback to the Tuskegee syphilis experiment. Revelations by whistleblowers of the Tuskegee syphilis experiment led to US law changes concerning patient protection and informed consent for medical studies. Several prominent African-American celebrities have made comments in public about the Tuskegee experiments, including comedian and film star Dave Chappelle whose grandfather was a Tuskegee survivor who was permanently blinded as a result of the experimentation. Shortly after the Hurricane Katrina disaster in New Orleans, leading film director Spike Lee mentioned the Tuskegee experiment on an episode of the TV series Real Time with Bill Maher. Lee alluded to a racial conspiracy in the Katrina aftermath by comparing the Government’s apparent lack of response to African-American communities with the ill treatment of patients in the syphilis experiment. Director Spike Lee alluded to a conspiracy. Various groups, including the Nation of Islam and the Black Panthers, believe the CIA purposefully infected African-Americans with HIV. Reminiscent of Tuskegee, this is said to have been carried out under the guise of hepatitis vaccinations. Those who subscribe to this theory have suggested HIV was spread by some pro-eugenics splinter group to decimate the black race, both in the US and in Africa. The concept of AIDS being a sinister experiment seems to be reasonably accepted in the African-American community at least. In 2005, The Washington Post did a survey on the subject, questioning 500 African-Americans. The newspaper reported over 50% of those surveyed believed HIV was man-made and over 25% believed it was created in a US Government laboratory. In Nigeria, there have been theories amongst locals that the World Health Organization (WHO) was spreading HIV via polio vaccines. As a result, there has been a decrease in the amount of Nigerians vaccinated against polio in recent years as many parents choose to keep their children away from WHO needles. In 1986, American Physician Doctor Robert Strecker (right) stated that HIV was not only a man-made bio-weapon created by the US military, but that it was disseminated by the WHO in Africa in the 1970’s by inserting the killer virus into smallpox vaccines. Strecker’s theory went on to suggest the distribution of HIV did not stop with Africa, but continued in the US. According to the doctor, the outbreak of AIDS in America wascaused by government-sponsored hepatitis B vaccine experiments in San Francisco, New York City and Los Angeles in the late 1970’s and early 1980’s. The vaccines were said to be contaminated with HIV and were apparently only given to gay men and African-American men. Although TIME magazine and most other mainstream media outlets condemned Strecker’s theory, it has since been supported by several prominent doctors and scientists. One of the supporters included Doctor Alan Cantwell who authored the 1988 book AIDS and the Doctors of Death: An Inquiry into the Origin of the AIDS Epidemic. South Africa’s former president, Thabo Mbeki, has claimed HIV/AIDS is a grand conspiracy involving the CIA and Big Pharma. Thabo Mbeki…alleges a grand conspiracy. But probably the most famous supporter of the theory that AIDS is some kind of Unit 731-style biological weapon is the 2004 Nobel Peace Prize laureate and environmental and political activist Wangari Maathai (1940-2011). The Kenyan was quoted by Nairobi-based newspaper The Standard in 2004 as saying AIDS was “deliberately created by Western scientists to decimate the African population”. This lead to a flurry of world headlines including this one by Radio Free Europe Radio Liberty on December 10, 2004, ‘Africa’s First Female Nobel Peace Laureate Accepts Award Amid Controversy Over AIDS Remarks’ and this one on the same day in The New York Times, ‘Nobel Laureate Seeks to Explain AIDS Remarks’. Maathai was also reported in a December, 2004 edition of TIME magazine as saying, “I do know things like that don’t come from the moon. I have always thought that it is important to tell people the truth, but I guess there is some truth that must not be too exposed … I’m referring to AIDS. I am sure people know where it came from. And I’m quite sure it did not come from the monkeys”. As UNICEF has called AIDS “the worst catastrophe ever to hit the world” the idea that certain governmentsor agencies created the virus to attack minority groups is hard to even consider, let alone believe. Personally, we feel this theory is veering into the sort of crackpot conspiracy ideas promoted by the Tinfoil Hat Network. Then again, as Spike Lee was alluding to in his TV interview, history is riddled with malicious, eugenics-style medical experiments like Tuskegee, so you never know. Not all is as it seems. Positive reader reviews and public response have prompted us to bring forward plans to develop our controversial new book about conspiracy theories into a television documentary series. TV series in early development. 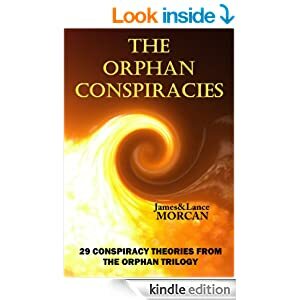 Such has been reader response to THE ORPHAN CONSPIRACIES: 29 Conspiracy Theories from The Orphan Trilogy, our eighth book title and first non-fiction book, we have put it into early development as a TV documentary series with our film production company Morcan Motion Pictures. New Zealand media including Scoop NZ have been quick to publicize this new development announced earlier today. Sydney-based James Morcan says he and his father are delighted by readers’ enthusiasm for the book and by the early reviews. Conspiracy theories explored range from false flag operations, international banksters, genius techniques of the elite and suppressed science to the Queen’s invisible riches, the Medical Industrial Complex and real-life Manchurian Candidates. 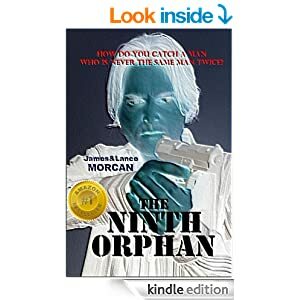 James says the next step for Morcan Motion Pictures is to secure the services of an experienced documentary-maker to produce The Orphan Conspiracies. He says enquiries from interested producers are welcomed. Dr. Musha, who was employed for many years developing naval underwater weapon systems, says he expects readers of the book will be surprised by the level of knowledge imparted in its pages, especially with its revelations of exotic technologies, financial injustices, political deceptions and suppressed scientific discoveries. 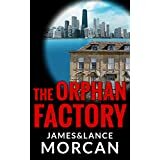 Reader response to the Afterword in our book THE ORPHAN CONSPIRACIES: 29 Conspiracy Theories from The Orphan Trilogy has prompted us to run it here, in full, in the hope it will prompt further enlightened thought and debate. Penned by American author and Professor of History at the University of Idaho, Dr. Richard (Rick) Spence, the Afterword provides a thought-provoking conclusion to our book. Dr. Spence is well qualified to comment on conspiracy theories. At the University of Idaho, where he has taught since 1986, he specializes in Russian, intelligence and military history, and his course offerings include Modern Espionage, Anti-Semitism and the Holocaust, History of Secret Societies and the Occult in History. Someone, I honestly can’t recall who, once told me an apocryphal anecdote which is a kind of epilogue to the biblical tale of the Garden of Eden and the Fall of Man. According to this, upon seeing Adam and Eve driven from paradise, the agent of their ruin, the Serpent, aka the Devil, was moved to pity. Or so he claimed. He asked God if he might bestow upon these pitiful creatures a gift which would make their mortal suffering and that of their descendants a little easier to bear. The Lord consented, and so the Serpent granted humankind the “blessing” of self-delusion: the inability to see themselves, the world or their state as they really were. The trick, of course, is that neither would they be able to see God or the Devil for what they really were either. The Eden saga is also relevant because, if taken literally, it can be interpreted as the Ur-Conspiracy against the human race. Basically, Adam and Eve got the boot because they dared to acquire forbidden knowledge and, if not stopped, might have achieved the ultimate prize of eternal life. It was that which prompted God—or Gods since the divine conversation is always in terms of “we”—to nip things in the bud lest the upstart creations become “like us.” It’s enough to make one wonder just whose side the Serpent was on. Or could it be that the Serpent was just God in disguise? Maybe we’ve been in the dark from the beginning. Mythology, heresy or whatever, I’ve often thought the “Devil’s Gift” story explained the human condition pretty well. Whether the Serpent is to be blamed or thanked, the simple fact is that we do possess a tremendous capacity for deluding ourselves—and others. 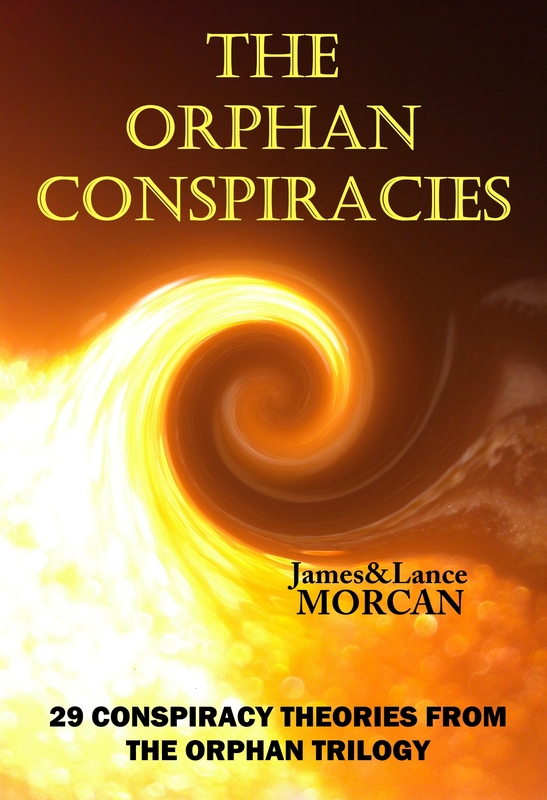 A prime example is the multitude of “conspiracy theories” James and Lance Morcan have presented in this book, theories that range, arguably, from the patently absurd to the disturbingly plausible. Notice that I’m not making a distinction as to which are which or who is deluding who. That’s up to you. 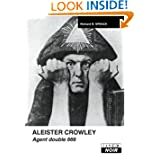 For some years now I’ve offered a course at my university titled “Conspiracies and Secret Societies in History.” Its basic goal, much like this book, is neither to advocate nor debunk, but to make people aware of what ideas and groups exist (or have existed) and what facts there may be to support or refute them. I’ve sometimes described it as a course in modern heresy or even in the nature of reality. A key theme is that human history, behavior and reality are governed not by what we know but by what we believe. Here’s a simple example: we all have fathers and most of us know who our fathers are. Or we believe we do. Ultimately both we and our fathers are taking our mother’s word for it, which doesn’t exclude the possibility that even she is mistaken. Ah, you say, but what about DNA tests? That supposes such tests actually prove what they claim which is yet another thing you must take on faith. I’m going to guess that you’ve not had a DNA test, nor do you see any reason why you should. That’s doubtless a sound belief, but nevertheless a belief that in a small number of cases is dead wrong. Paternity is almost always an assumption, not a fact. That’s an unsettling thing to consider, so maybe it is best ignored. Just like so many bigger, unsettling possibilities mentioned in The Orphan Conspiracies. The authors make frequent reference to the “Tinfoil Hat Network,” which is a convenient name for those folks who believe in things that presumably more rational minds find, well, nutty. However intrinsically loony an idea may be, when people believe it, and act on that belief, it attains a power that can shape reality around it. A simple case in point is Nazi anti-Semitism. The fringe and utterly bogus notion that Jews represented a kind of biological contamination that had to be eradicated root and branch became the operative philosophy of a political regime and as a result millions of people died. Maybe the most dangerous thing about the “Illuminati” isn’t that such a master cabal has ever existed, but that some people believe it should and wreak havoc under the delusion they run the world. Likewise, something discussed extensively in this book, Jim Jones and Jonestown, was, at the very least, a case of people believing so much in a crackpot messiah that they were willing to kill themselves, and often their children, on his command. And, remember, that’s the least of the horror stories that can be built around the Jonestown massacre. The alternatives are even more disturbing. So how can we determine what’s real and what’s not? We can’t. We can just pick and choose what we want to believe and rationalize it as best we can. Reality, after all, is basically a movie projected inside our heads. It’s based on the colors our senses permit us to see, the sounds they permit us to hear and whatever else our brains let slip through the gates. But outside our limited senses, surrounding us, there is, unquestionably, a much greater reality, a universe we live in but cannot see. Well, most of us, anyway. Out there, in the dark, All Things Are Possible. 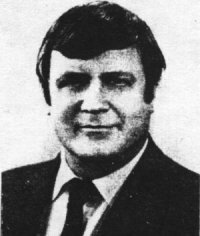 An author in his own right, Dr. Spence’s published works include Boris Savinkov: Renegade on the Left (East European Monographs/Columbia Univ. 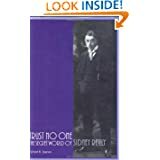 Press, 1991), Trust No One: The Secret World of Sidney Reilly (Feral House, 2002) and Secret Agent 666: Aleister Crowley, British Intelligence and the Occult (Feral House, 2008). Some of the books by Dr. Richard Spence. Out there in the dark, all things are possible! 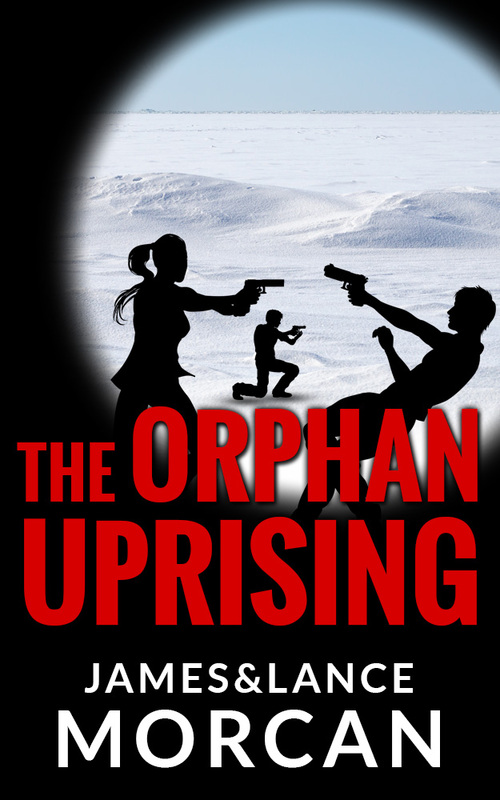 We are pleased to announce the new cover launch for our thriller THE ORPHAN UPRISING (The Orphan Trilogy, #3). 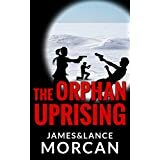 THE ORPHAN UPRISING is the sequel to THE NINTH ORPHAN, book one in this international thriller series. 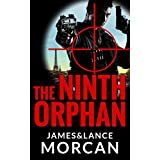 In this explosive conclusion to The Orphan Trilogy, the ninth-born orphan’s dramatic story resumes five years after book one, The Ninth Orphan, ends. Having eluded his former masters at the Omega Agency and escaped his past life as an operative, Nine has married his soul mate, Isabelle. They’ve carved out a new life for themselves, off the grid, in the remote islands of French Polynesia. The contented couple have a five-year-old son, Francis, who is a chip off the old block and who has inherited his father’s unique DNA. Francis will soon have a sister as Isabelle is about to give birth to a baby girl. Their idyllic lifestyle is shattered when Francis is abducted by operatives in the employ of the Omega Agency, the shadowy organization that brought Nine into the world and once controlled every aspect of his life. The terrified boy with the unique DNA is dispatched to one of Omega’s underground medical laboratories for scientific testing and experimentation. Nine is desperate to find Francis before Omega can harm him. He soon finds he’s up against his fellow orphans – all elite operatives as he once was – who are under orders to kill him on sight. To overcome them, he must call on all his former training and skills. His search takes him around the world – from Tahiti to America, Germany, Greenland and the Congo. To add to Nine’s worries, he has a serious heart condition that requires immediate surgery. The clock is ticking and he knows he’s on borrowed time. It’s a race against the clock to find his son before Omega can harm the boy – and before his heart gives out. Warning, reading this novel is like opening Pandora’s Box and discovering the Matrix inside it. 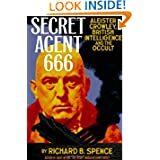 There are some extremely dangerous global conspiracies and radical ideas put forth in this book, and there are no known antidotes for exposing the thinking mind to the potent light of truth. This is a unique story, a fast paced thriller spy novel that is unlike any other spy novel that you have ever read before. 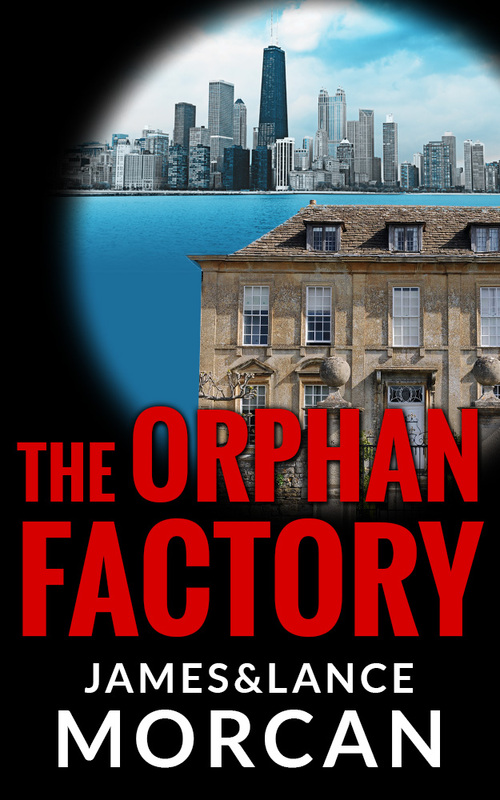 If you are not psychologically prepared to handle the disturbing type of information that is revealed in this groundbreaking new novel, then please don’t read the Ninth Orphan series. The entire cast of fully developed intelligent, extremely complex characters will simultaneously both thrill and horrify you. This is a work of fiction, however, this superbly crafted spy novel is a fantastic read and at least 90% of the conspiracy theories cleverly woven into its brilliant plot are actually based on well documented facts.